Today we appeal to all tourists who are organizing their summer holidays. 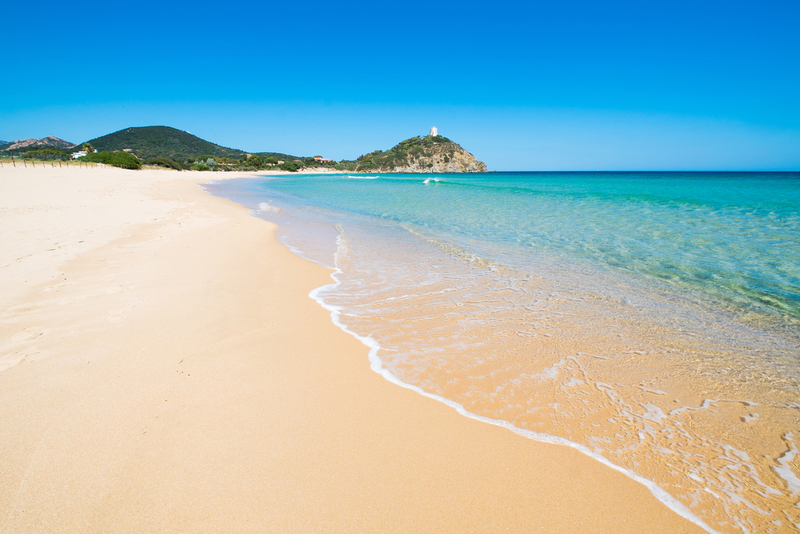 If you want to spend some days looking for uncontaminated nature and for wonderful beaches to enjoy romantic sunsets, then Sardinia is the right place for you. Camping Tonnara in Sant'Antioco offers you very beautiful mobile homes in Sardinia, a reference point for your itineraries, a starting point to discover the wonderfull southern coast of the island. Do you know that the Blue Guide for Legambiente and the Italian Touring Club awarded Sardinia as a top seaside location last year? There are 5 beaches that deserved recognition, but only one won the title of the most beautiful beach and sea in Italy: Chia. Chia beach is located in the municipality of Domus De Maria, in the province of Cagliari, about 70 km from our mobile homes in Sardinia. It takes certainly part of the tour of beaches that you must visit for the quality for both the offer of services and the water of the sea, a place of great environmental sustainability. Strength and courage, if you haven’t booked yet, hurry up and we will help you to organize all your travel itinerary so as not to miss any glimpse of the island. We are waiting for you in our mobile homes in Sardinia.